Run! BURST GIRLS present their first promotional video filled with the members all running to different goals. 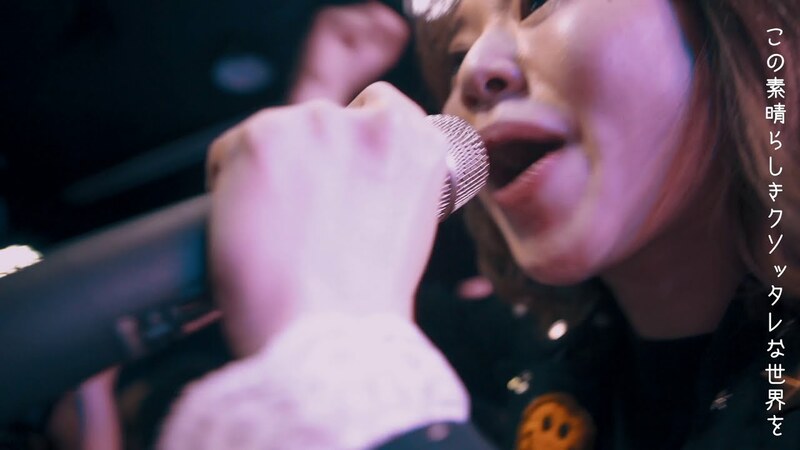 Formed from members formerly of Guso Drop, BURST GIRL aren’t exactly rookies, but “GREAT FXXKING MY WORLD” is this group’s first dip into the promotional video realm. It’s not ultimately important, but as the members criss-cross each other in the beginning of the PV we see a purse snatcher, a cheating boyfriend, a firearms mixup, and a BURST GIRL performance all as the impetus for a running start. As you might expect, the members eventually find each other and begin running together towards their shared goal. “GREAT FXXKING MY WORLD”, aside from having a pretty great title, is a piece of pop-punk perfection with a pounding pace and throbbing bass and guitar work. I appreciate the slightly unfinished sound of the vocal work. BURST GIRL’s voices not as polished as you would expect from an idol group, and they pop in and out of the mix occasionally, but this is part of the charm of the product. 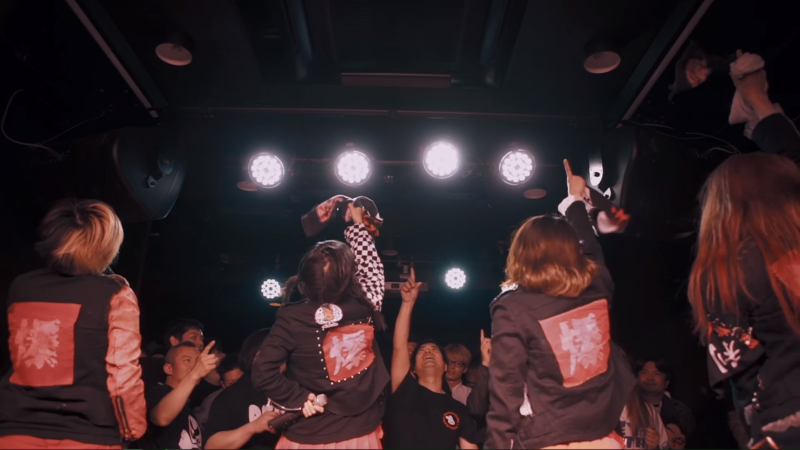 “GREAT FXXKING MY WORLD” is a good start toward international appeal for BURST GIRL, and the foursome should win a fair share of fans from this PV. “GREAT FXXKING MY WORLD” is available for purchase at BURST GIRLs live performances starting May 3, 2018.